The season of giving is upon us. Over the coming weeks we will share a few gifting stories here, but this year I wanted to take a slightly different approach with our gift guides than in the past. I wanted to share a full lifestyle element to any gift guide we wrote a story about on the blog. We have many other gift guides that I have been plugging away at that you can find in our shop and we will shoot out one email this next month with them all in it so you can see them, but we don’t want to clog up the content for December with Gift Guides. We really want to give you something special this month beyond just collections of gifts. So, to make the ones we do share special, we have stories that coordinate because I believe a great gift can be apart of a great story if we plan it right. 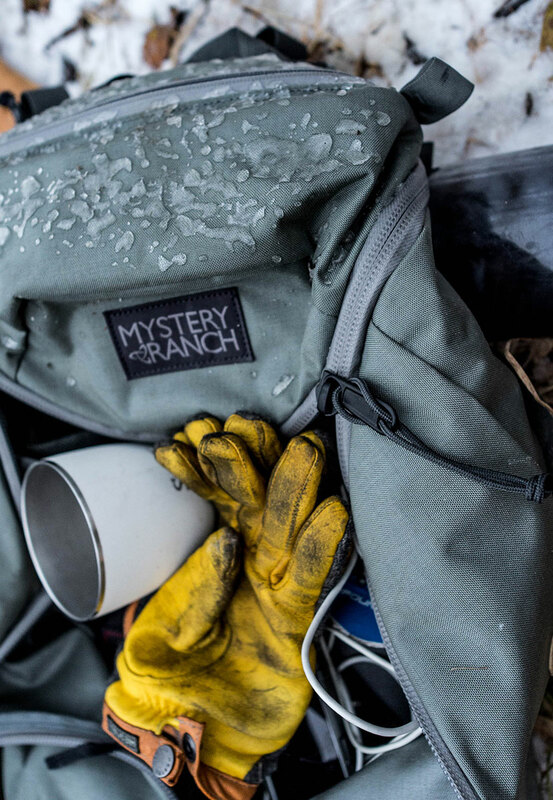 Since everyone seems to find buying things for the men in their lives relatively difficult, I partnered this month with our favorite outdoor and men’s shop online, Huckberry. Mike and I both deeply enjoy their weekly emails and read their blog pretty regularly. 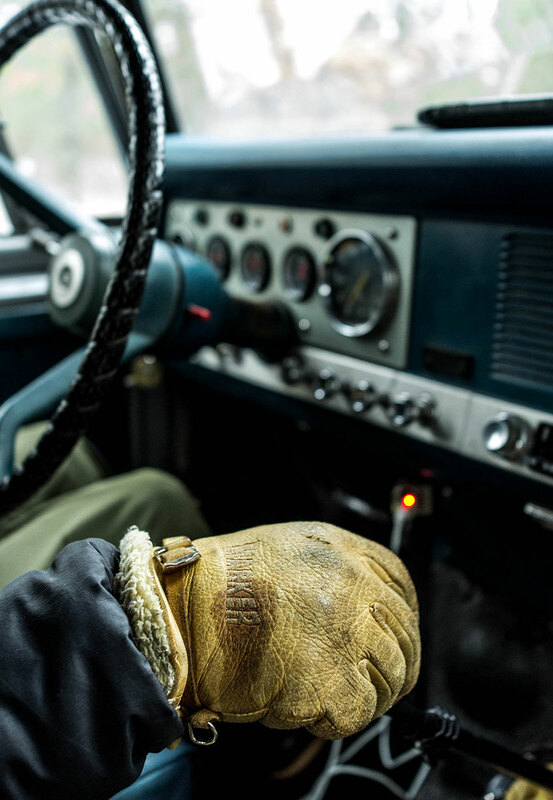 We find some of the best brands because of them and many times the products are made in the US or have a deeply purposeful design behind them. 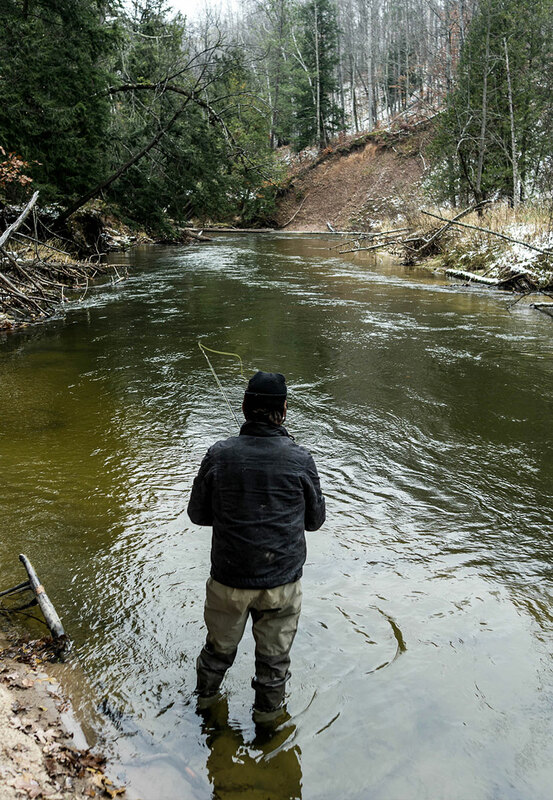 Not to mention so many of their products cater to our life here in Northern Michigan. 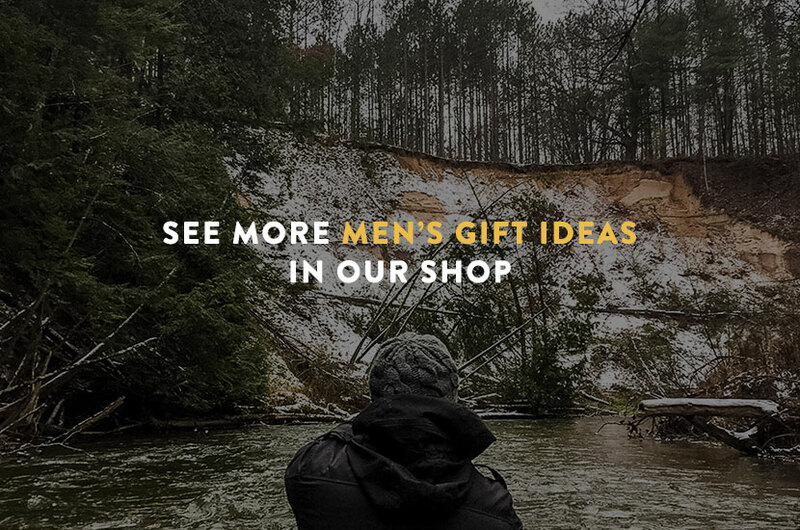 So we knew they were the place to turn this holiday season to find a unique and perfect gift that really would mean something to whoever received it. 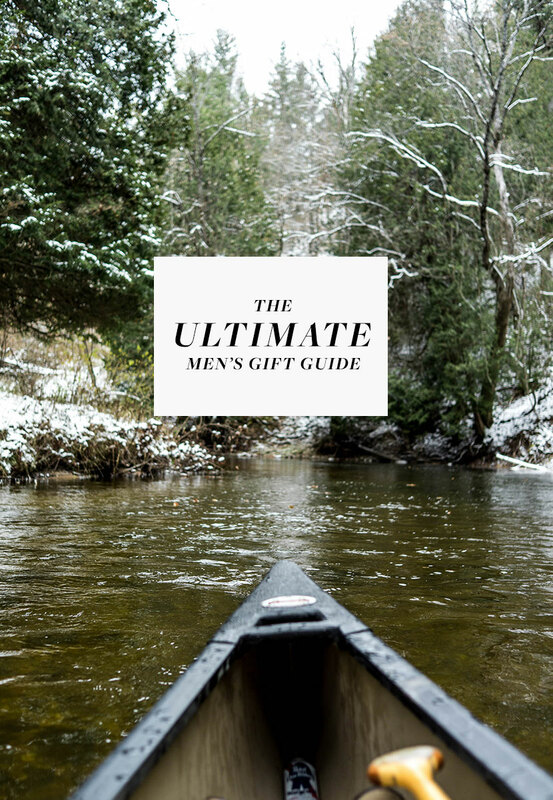 The hope is that the gifts you will find here in our gift guide I curated with Mike will inspire a sense of adventure in whoever you give it to. 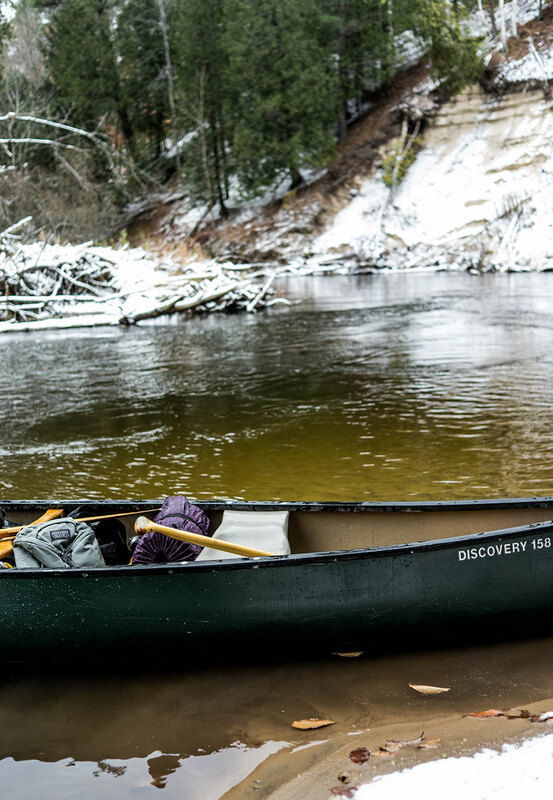 Maybe, just maybe it would inspire a similar trip as this one that Mike and our friend Sam took on one of the coldest days this fall on the Pine River. 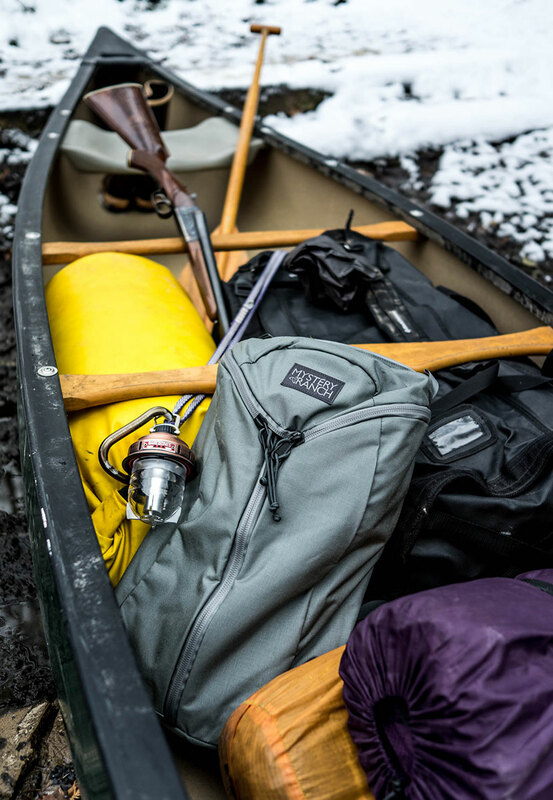 Huckberry was kind enough to send along a few items for Mike and Sam to have on hand while we stayed warm hunting and fishing down the river on an overnight trip earlier in November. 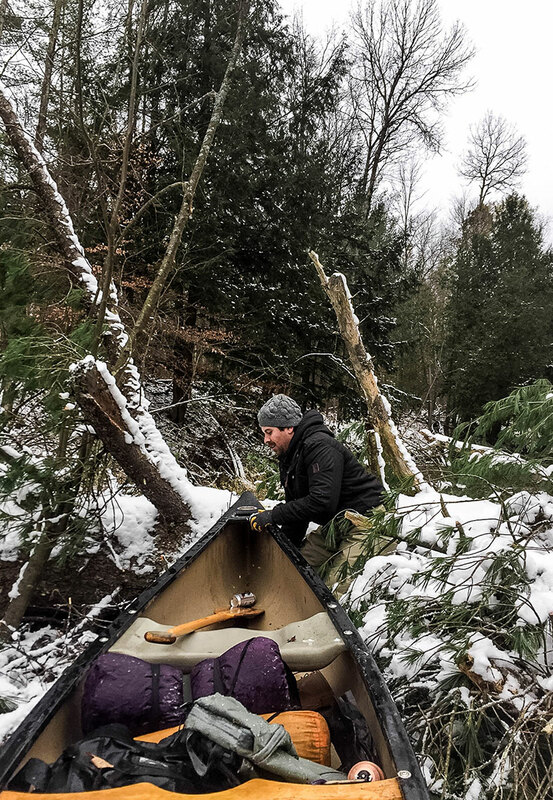 On a super cold weekend in early November, Sam and Mike headed out in Sam’s Scout with a canoe on top to enjoy an overnight trip winding down the Pine River just outside of Manistee, Michigan. The snow had come in that weekend and it was colder than cold. 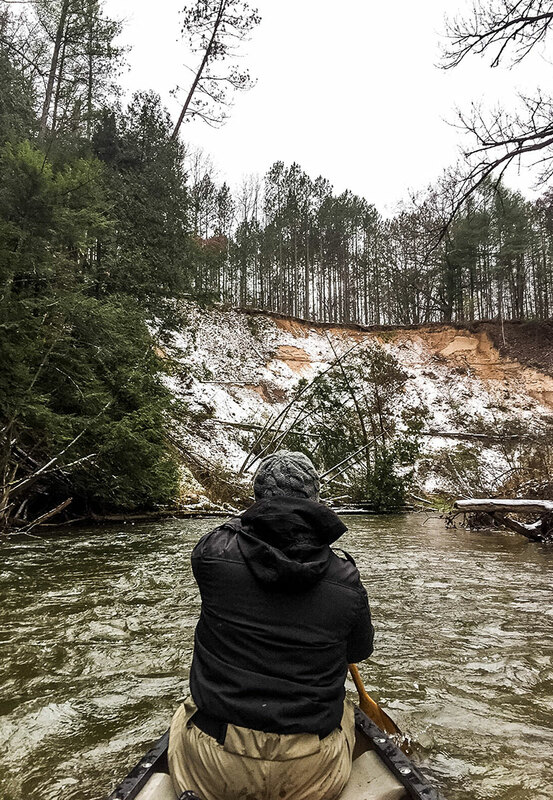 A few days before Mike questioned whether or not they would survive the trip, but decided to risk it none-the-less knowing Sam was a fearless guide. 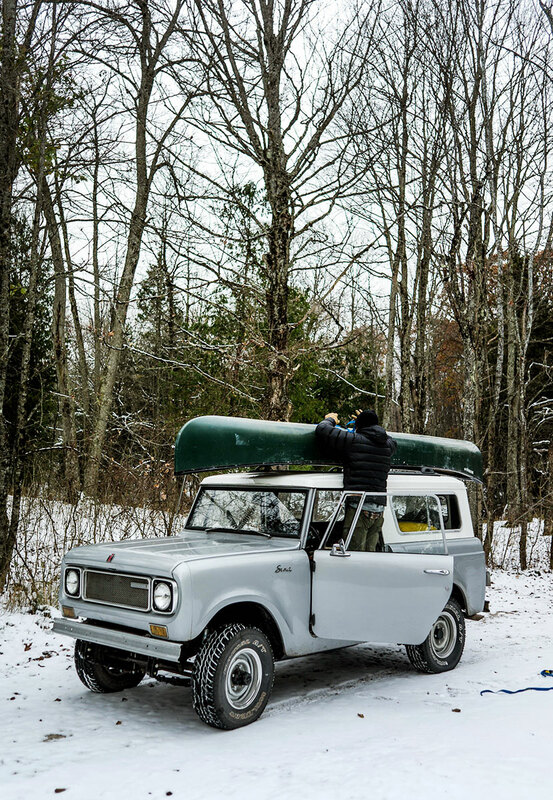 The packed up the canoe to with gear that would keep everything dry in case of it falling in the river or just from the water that may splash in. 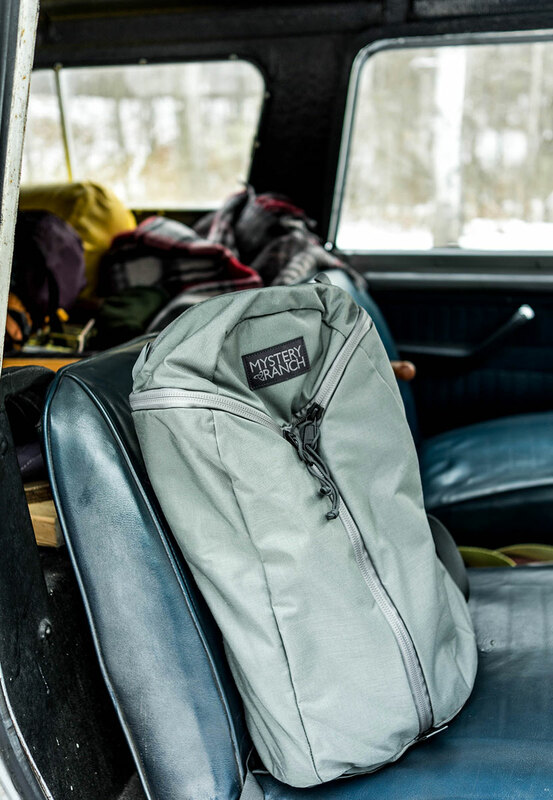 They kept their pack light and had only what they need. Since it was below 35 they knew a cooler was unnecessary so they could keep an even lighter load. 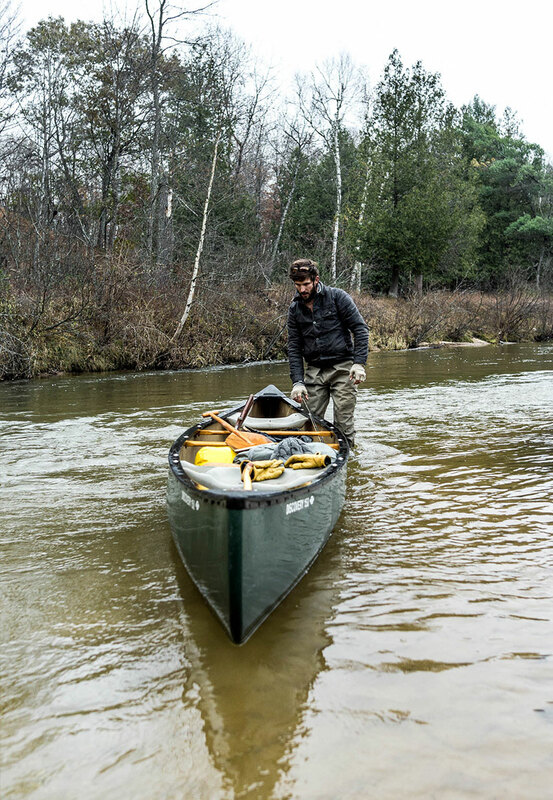 Since the river water was high there were quite a few places they had to completely portage the river by taking the boat out of the water and over land in order to get back on the river. 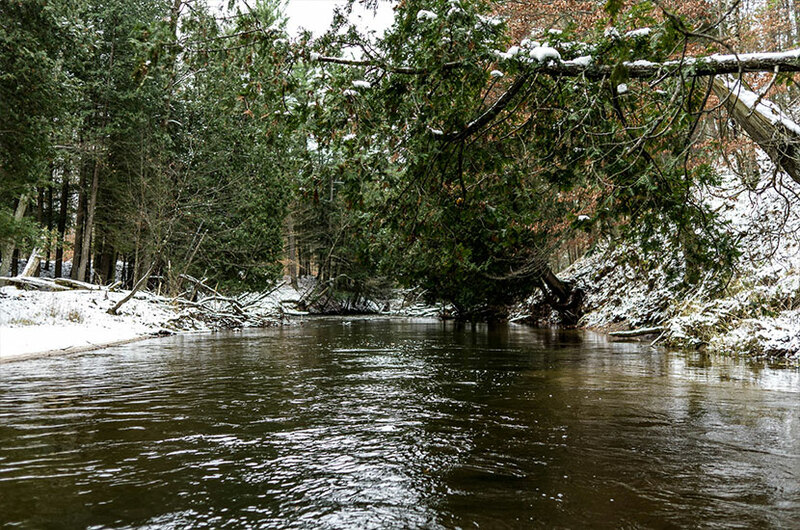 The guys wore waders in order to stay dry when they had to get in the river. 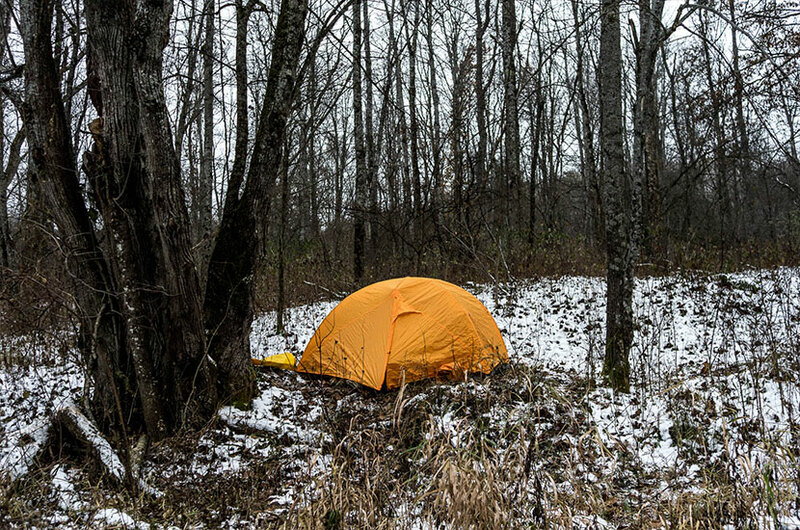 The layers kept them warm and comfortable against the falling wet snow and the freezing temps. 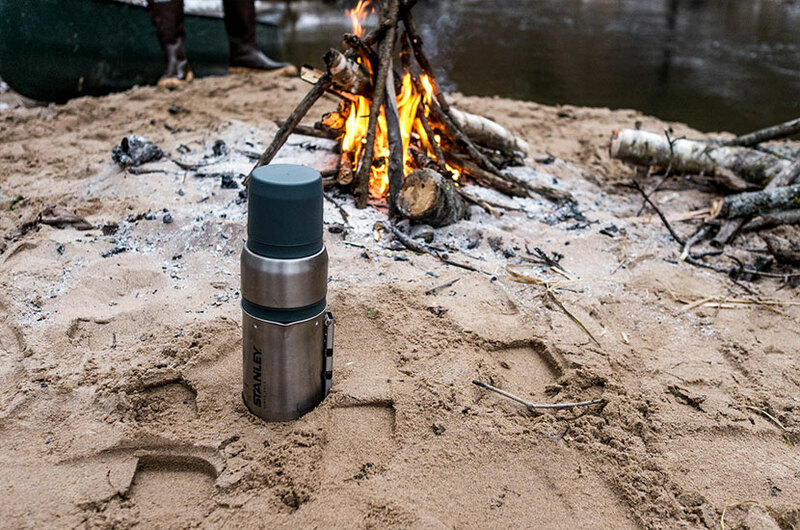 After a long hunt for just the right campsite, they found a place to settle for the evening and setup camp. They fished and enjoyed some birds they caught for their dinner that night. 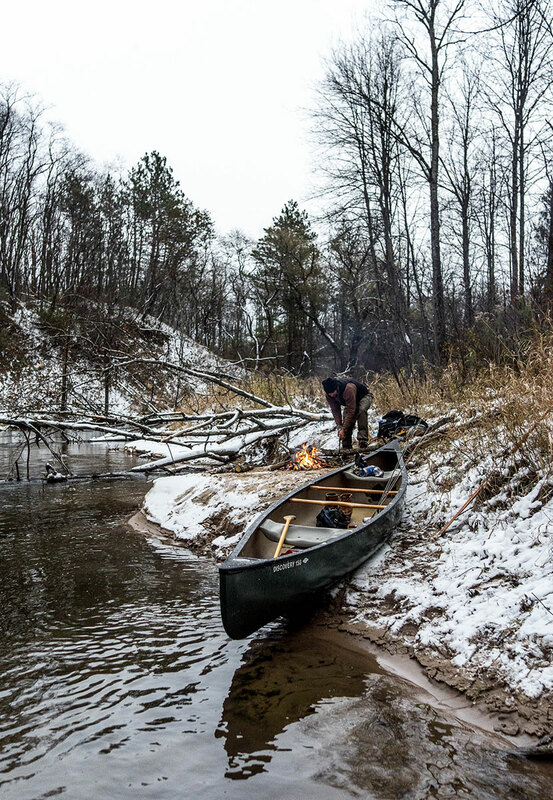 After a cold day with a lot of paddling a warm fire, some bourbon, and good food was all they wanted. 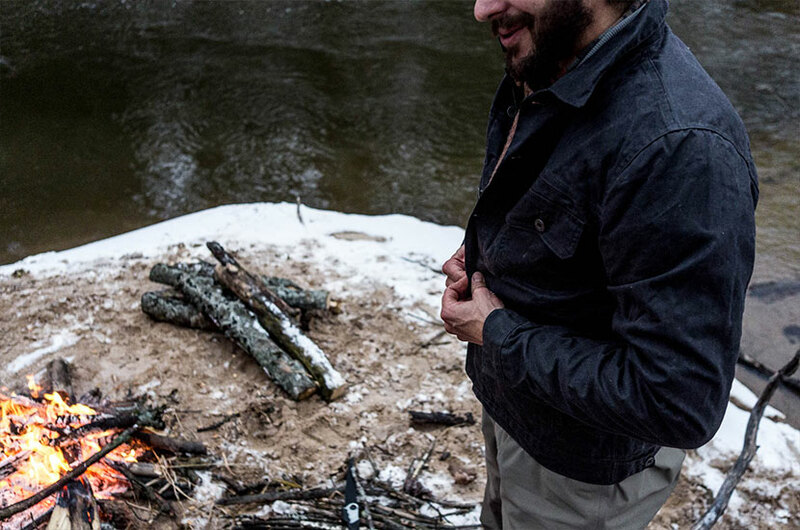 The keys to staying warm were the proper layers of waders, jeans, and long johns on the bottom to wool shirts, flannels, down coats, and waxed jackets with gloves and hats. 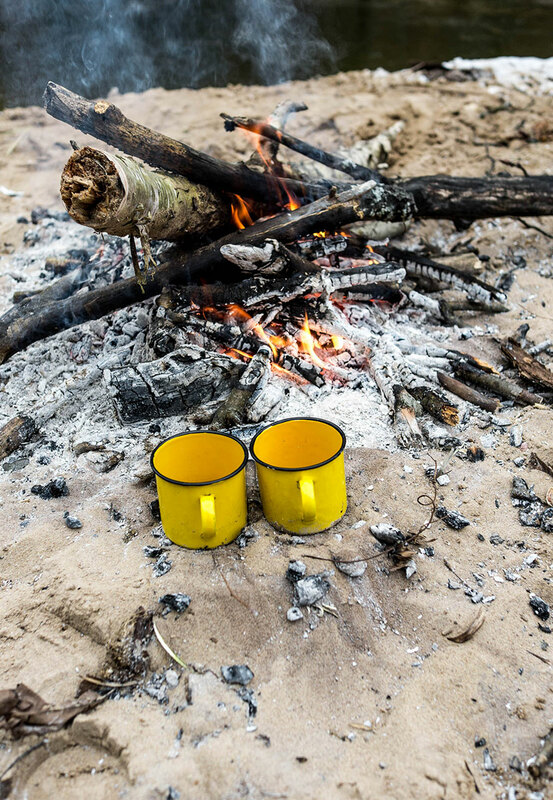 The right items made all the difference to fend off the elements outside that day. 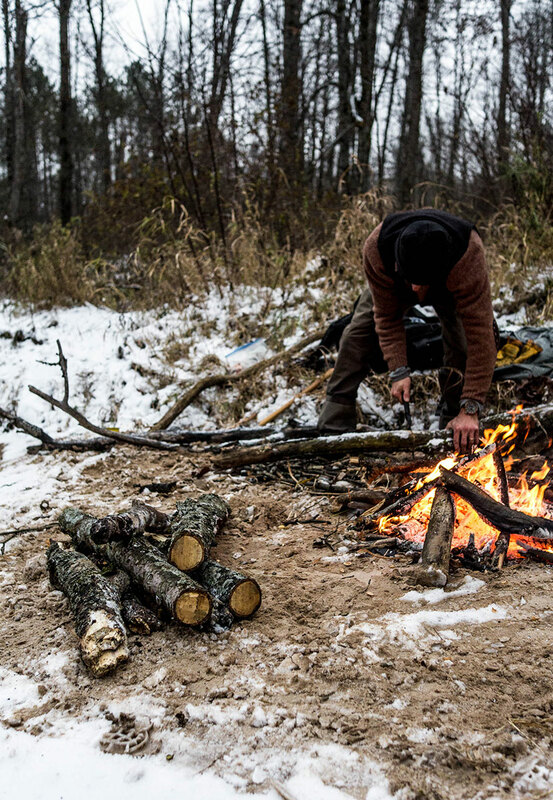 The next morning warm coffee and a fire were the best way to get moving in the cold. 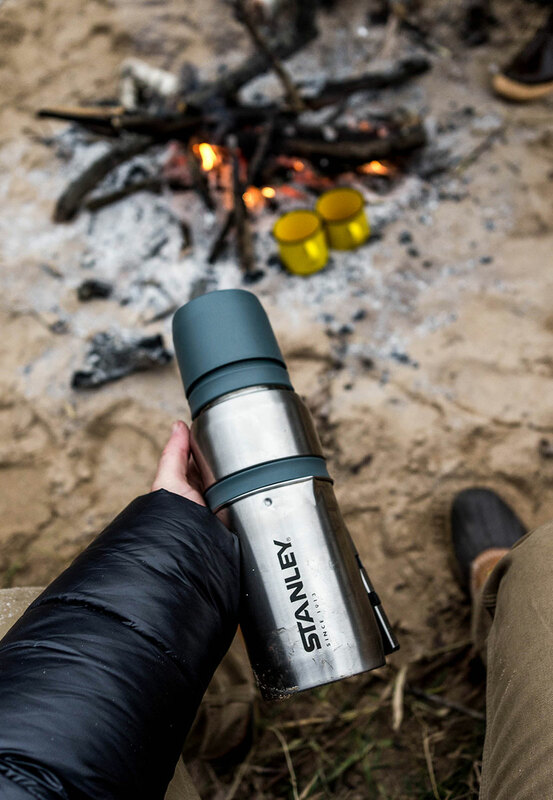 They used a Stanley Vacuum sealed coffee maker for their coffee that morning. 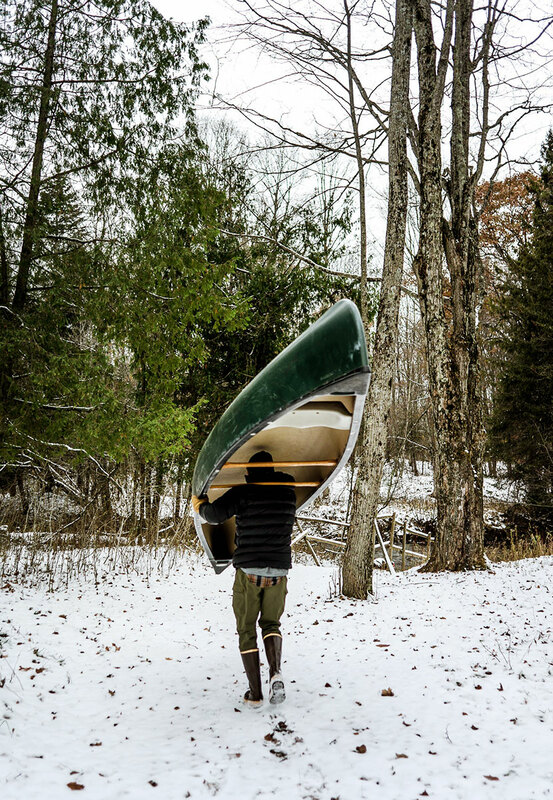 Once warmed they headed back out on the river to begin their trek home. 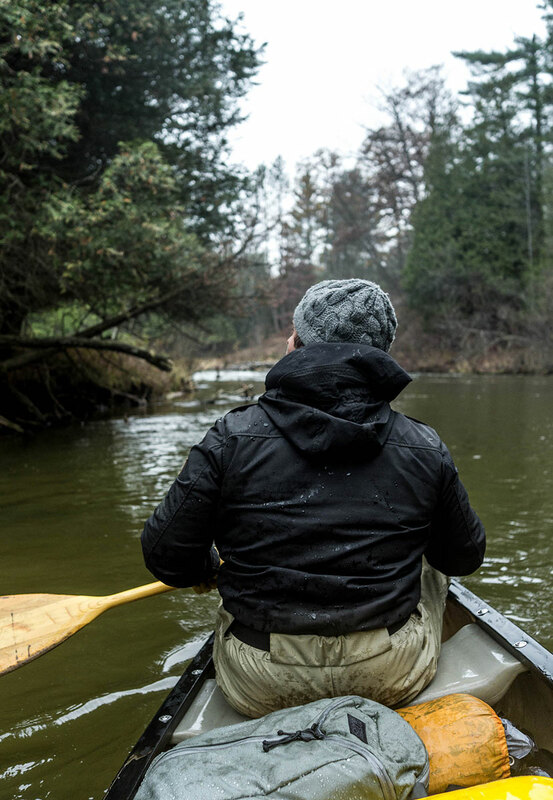 A full 36 hours of paddling a winding river on a cold weekend was a refreshing way to counter a busy week for Mike and Sam. Walking away they both felt it was an amazing trip they cannot wait to enjoy again. 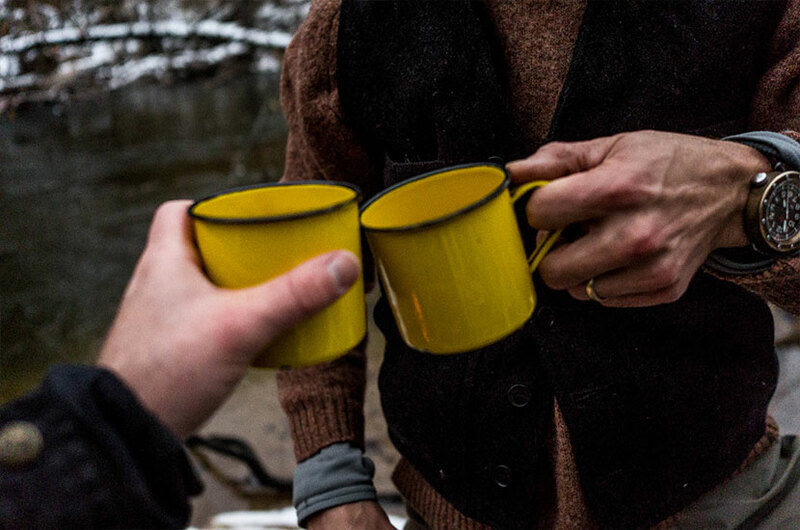 So when they came back I had Mike help me pull together some favorite items that he would suggest that may inspire a similar adventure or simply just be deeply enjoyed by any man in your life. Get all the links below to the items and check out the rest of our gift ideas in our Shop during the month of December. Get more ideas in our Shop this week. Check back as we will continue to update throughout the month as well over in the Shop. Thanks for sharing such a cool gift guide! This is the only blog post ive seen with stuff my hubby would actually love! 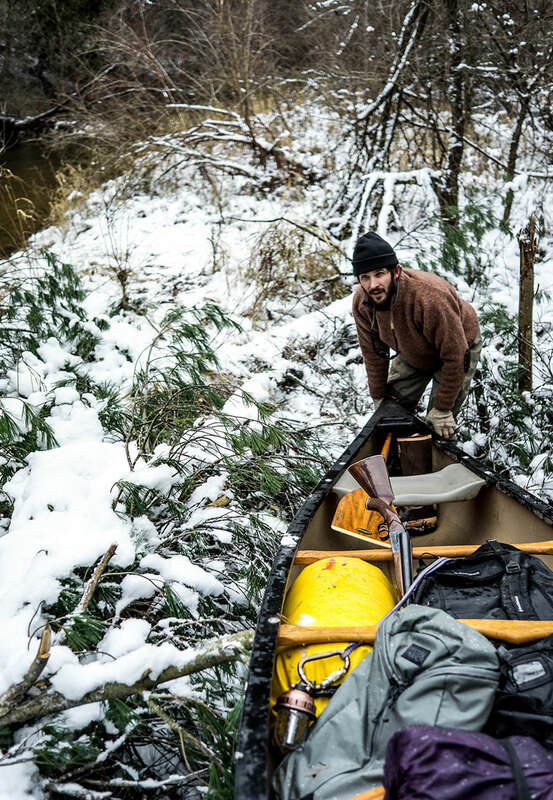 Hes such an outdoors kind of man, and I love that you shared such cool photos from mikes adventure. Love these photos!! What a great trip!! And gear! Great ideas, loved that coffee maker in particular and these pictures are AWESOME.